We’re proud to release our second Council on Integrity in Results Reporting (CIRR) Outcomes Report to cover both of our bootcamp programs. One of the biggest stories here is that CIRR has grown tremendously: What was first 13 schools is now 28. We’ve also strengthened the report itself, adding more valuable data to better help prospective students gauge their return-on-investment. As we’ve said before, CIRR (or really any well-adopted reporting standard) brings transparency to education. Anyone who doesn’t report outcomes can’t be trusted. Schools that make a concerted effort to share outcomes will earn students’ trust; those who do not will fall by the wayside. 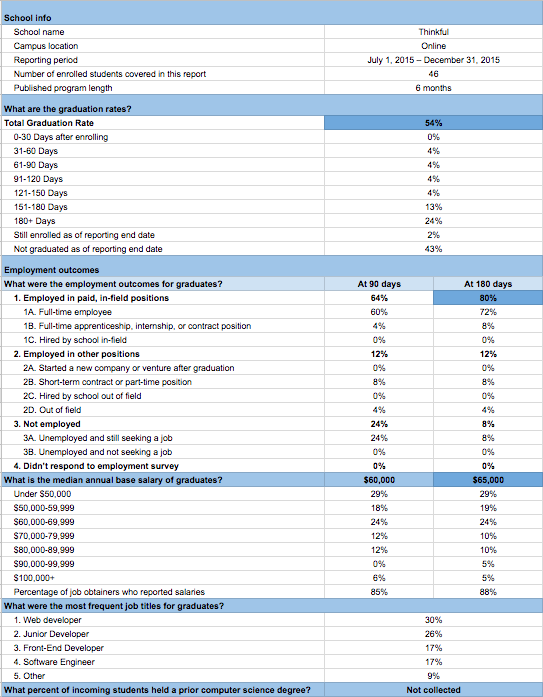 One final note: CIRR provides a deep dive into historical data, but its results are also delayed so graduates have time to find jobs. 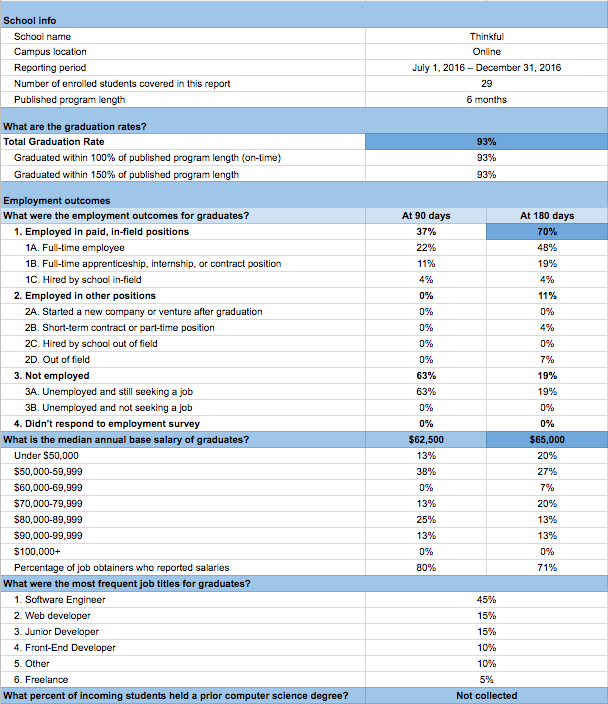 To see more up to date data check out what we publish on our Bootcamp Jobs Report. It follows the same CIRR calculations, but the data is life to date through the most recent month. It’s automatically updated every month on the 15th.